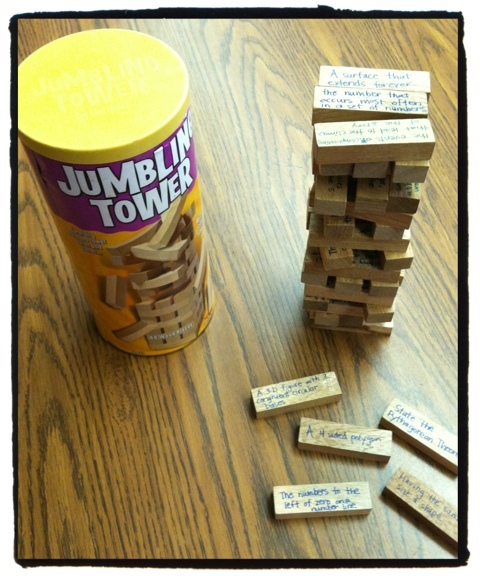 Jumbling Tower is the generic version of the game Jenga. I think I bought it at Walmart for half the price. It is a game of physics, dexterity, and strategy. It can also be a game of educational value. 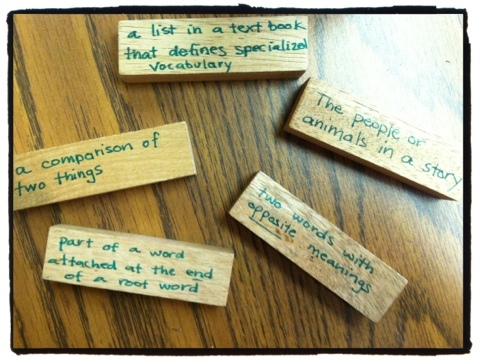 I preloaded my set of blocks with vocabulary definitions. I wrote a Language Arts Based set in one color and a set of math definitions in a different color. Students are broken into teams and each student is armed with a dry erase board. Team members take turns pulling blocks from the stack and I read the definition out loud. Everyone answers the question on their dry erase boards and then we share answers. The beauty of this game is no one wants to knock over the tower, so the game goes on and on and on…..until the bell rings for lunch. What types of “old-school” games do you play in your classroom? 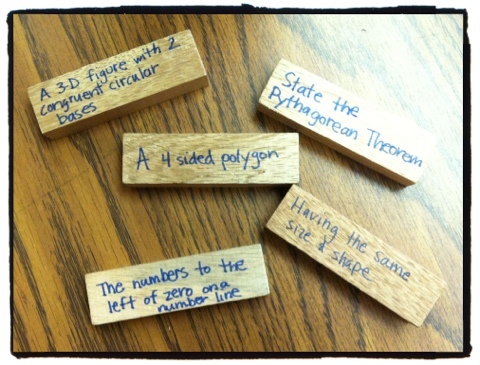 Have you modified a traditional game to make it educational? I’m not a teacher, but a favorite game I remember from 5th grade is “20 Questions.” It’s not strictly educational, but it does develop logic and reasoning skills, I think. It seems like it got everyone engaged, because it’s kind of like solving a mystery — which humans seem hard-wired to love! I could see using 20 Questions to review characters in novels or important people in history. Thanks for the comment. Oh, yeah — great idea!